Prepare to pick your jaw off the floor, because I have some shocking news. 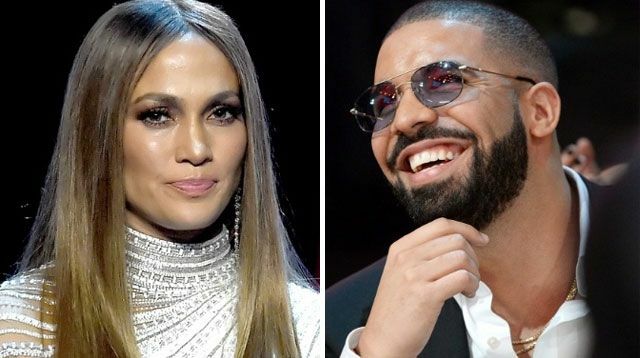 Jennifer Lopez and Drake's relationship might not be for real!? Page Six is reporting that many in the music industry are saying the relationship between the hot duo is a publicity stunt, and that the supposed chemistry is just to sell their record. "I CANNOT BELIEVE IT!" yelled nobody, into the void. "This relationship is fake," a source told the rag. "[It's] just a publicity stunt to publicize their record together. If Jennifer and Drake were really dating, they’d be way more private about it." They continued: "Doesn’t Drake realize that it looks weird to declare his love for RiRi at the MTV awards, then start flaunting his chemistry with J.Lo a few months later?" All good points, but I still believe their love is real. How could it not be?! Don't answer that. It's real.